Apple is completely changing the way the Apple Watch works. Users will receive a free update to WatchOS 3 this fall, which is essentially a wholesale redesign of the Apple Watch interface. In short: after a year, Apple’s basically totally tossed out its old interface in favour of one that should be a lot more useful and a lot less fiddly. 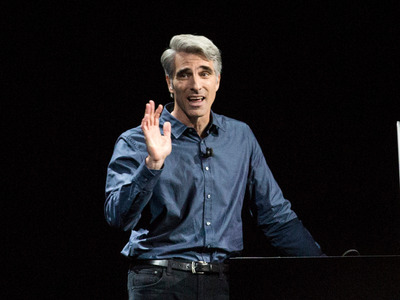 Craig Federighi, Apple’s senior vice president in charge of software, explained why in an interview with longtime Apple writer John Gruber and marketing boss Phil Schiller. Turns out, Apple purposely limited the first version of the Apple Watch software because they were afraid that its battery life wouldn’t last a day. “It turns out that when we first were coming out with watchOS we were being really conservative about understanding how people were going to be using the Watch and trying to make sure we could hit our goal of very solid all-day battery life. So that you could use it all day and charge it at night. Apple made clear that battery life was a priority for the first version of the Apple Watch, but the fact that Federighi would describe it as an area of “paranoia” is a bit surprising. Most reviewers — including your author — have found that the Apple Watch battery is solid, if not perfect. It’s certainly good enough to get through the day, so it makes sense that Apple would loosen the reigns for some additional functionality. Of course, issues with device speed and battery life can only be improved so much through software. Bigger improvements will happen later this fall when Apple launches the second version of the Apple Watch.